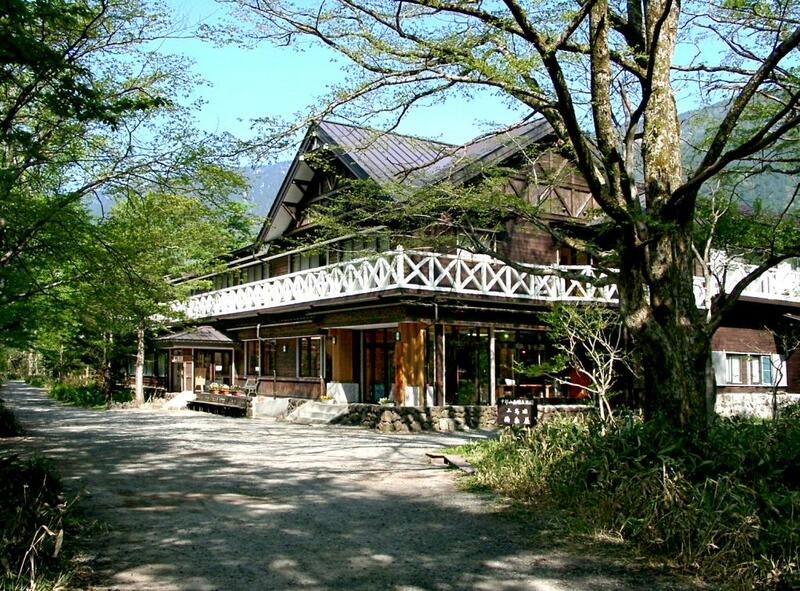 Foreigner-friendly lodge in the heart of the Kamikochi basin. Located along the Azusa River just west of Kamikochi’s symbolic Kappa-bashi bridge, the lodge has always been popular with people coming to climb the Northern Alps. The staff are happy to provide updated climbing information. Breath-taking views of the Hotaka Mountain Range including from the lodge’s common baths. Lodge is not wheelchair accessible inside. Wheelchairs available for use outside. Closed from mid-Nov. thru mid-Apr. All guestrooms are no-smoking. Area hiking maps in English available. Dormitory-style bunk beds (8) available. From Matsumoto Station(JR Shinonoi Line), From Matsumoto Station, take the Matsumoto Dentetsu line bound for Shin-Shimashima to the end of the line (30 min.). Transfer to Alpico bus bound for Kamikochi Bus Terminal, approx. 65 min. Cross Kappa-bashi bridge and lodge will be on the left. From Matsumoto IC, From Matsumoto IC, go right (towards Kamikochi) and take Route 158 approx. 1 hour to the Sawando Parking Lot. Change to Alpico bus bound for Kamikochi or taxi, approx. 30 min. to the Kamikochi Bus Terminal (approx. 30 min. ), then cross the Kappa-bashi bridge and lodge will be on the left. Tokusawa-en in Kamikochi : Base for Climbing the Northern Alps, or Rest Stop While Walking the Kamikochi Basin. Kamikochi Imperial Hotel : Built in 1933, Japan’s First Mountain Lodge. Hotaka View Hotel : Resort Hotel at the Base of the Northern Japanese Alps. Kita-Alps Bokujyo : Great-Tasting Dairy from Cows Growing in Azumino's Natural Wonder. Walking Kamikochi's Weston Loop : Stroll along the Base of the 2,000-Meter High Kamikochi Valley. Climb an Active Volcano in the Japanese Alps: Yakedake : Popular Day-Hike to a Dynamic Active Volcano from Kamikochi. Azumino Art Line Gallery Tour : Indulge in Art Azumino-Style by Touring the Art Line’s Galleries. Glass Beadwork in Azumino : Explore Azumino’s Glass Art through Bead Craftwork.